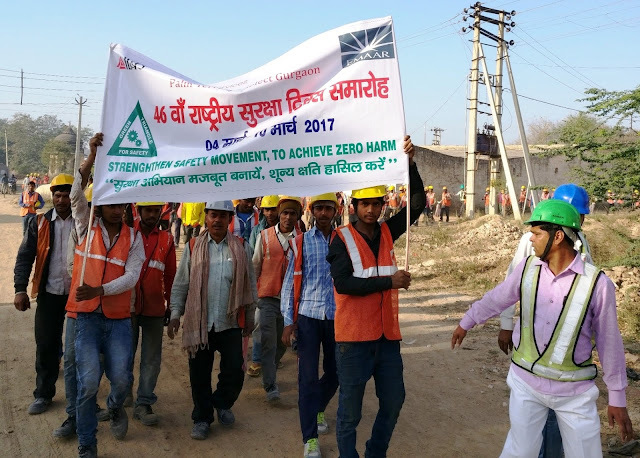 Gurugram, 08th March 2017: Emaar India, the iconic brand and leading global property developer, is commemorating the 46th National Safety Day & Week at its project sites in Gurugram and Mohali. 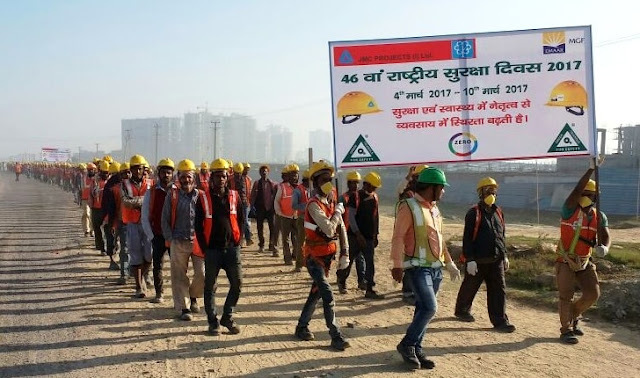 The week-long campaign, organised by the Company with active participation by its Contractors, is aimed at ensuring a healthy, safe and aware workforce, which sustains a Health, Safety and Environment (HSE)-compliant culture. Founded by National Safety Council of India, 4th March is celebrated as National Safety Day across the country, with National Safety Week conducted from 4th-10th March every year. The theme for this year is “Keep Each Other Safe”. This year, various safety awareness activities and competitions are being organized at Emaar India project sites including Palm Terraces Select, Marbella, Palm Garden, Palm Hills, Imperial Garden, Gurgaon Greens, Emerald Estate, Emerald Hills, Emerald Plaza, Digital Greens, The Palm Drive, and Colonnade in Gurugram, and Mohali Hillsin Mohali. 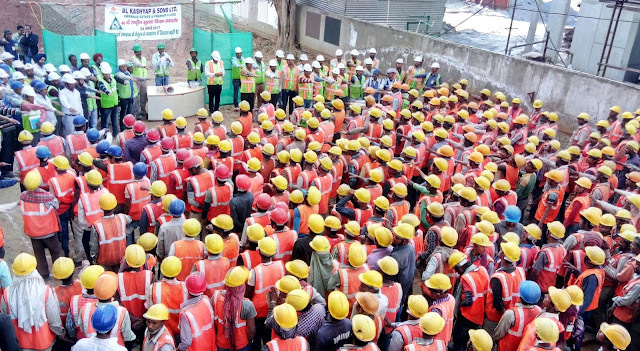 Emaar India has organized various events at its projects sites including special demonstration sessions and mock-drill training on safe handling of construction materials, machinery and equipments for workers. It also conducted sessions on safety awareness with safety speeches by project heads and HSE team, flag hoisting, safety pledge, pinning of safety badge, banner & poster display, and safety awareness flag marches. Moreover, Emaar India also conducted health checkup camps including Eye test & TT Camp for its staff and workers. A prize distribution ceremony was also held for the best HSE performers, as well as the most safety-conscious laborers and workers at site. Alongside offering premium quality projects to its customers, Emaar India also conducts several social initiatives regularly. It organises health camps for its site workers on World AIDS Day, and awareness sessions on World Quality Day, alongside organising annual blanket distribution drive across its project sites pan-India. Various activities such as gift distribution to children of construction workers, blood donation camps, tree plantation drives, etc. are a regular part of company’s calendar. The company in past has contributed to flood relief measures including Chennai, Jammu & Kashmir, Uttarakhand and Odisha. It also runs Mobile Crèches for children of site labourers to help take care of their education, nutrition and health; in addition to associating with NGOs working in the field of disability, education and healthcare.